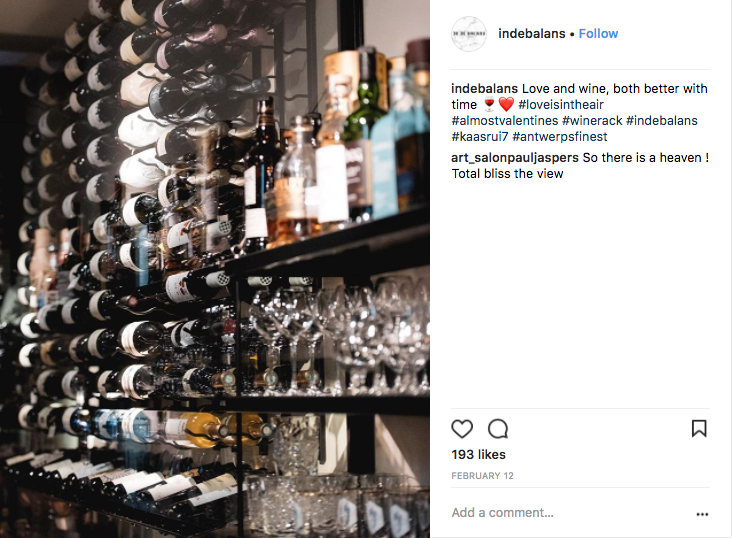 While February is a short month it still has brought us a half-dozen wine cellars we LOVE on Instagram. 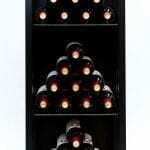 Who do you want to share your #winewall #winecellar and #winerack design with? Or maybe it’s all yours… that’s called self-love. Need more? Let us help? 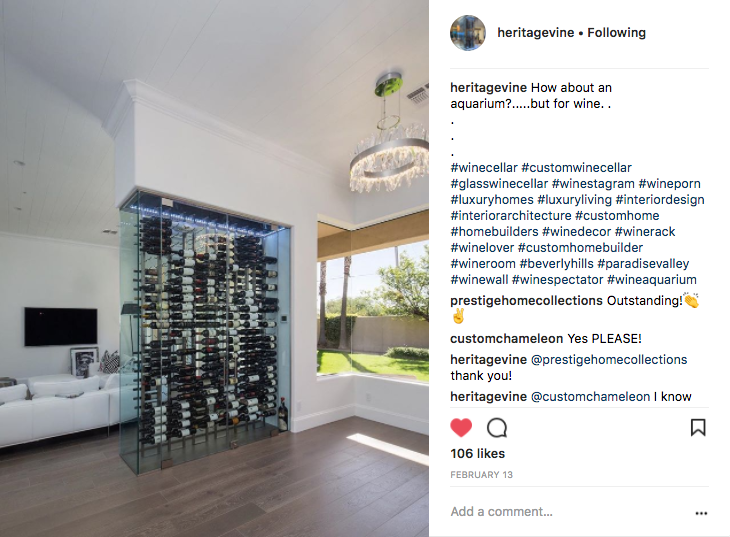 VintageView certified designer Heritage Vine has taken the concept of an aquarium to a whole new level. This modern home in Paradise Valley, Az., is swimming in wine and stands out amongst the glass white interiors. 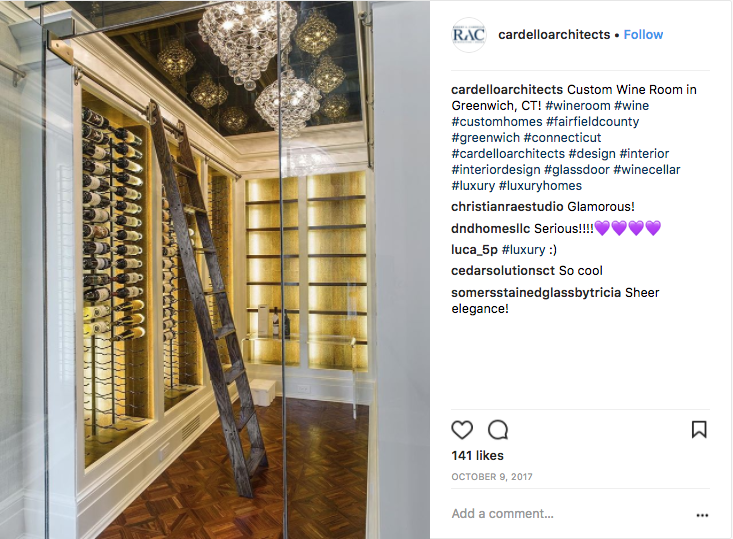 Wine cellar features Wall Series metal wine racks in two-bottle depth configuration mounted on Floor to Ceiling Frames (FCFs). All in Brushed Nickel finish. In de Balans, located in Belgium, is the perfect place for a romantic evening of fine wine and dining. 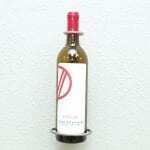 As they say, “Love and wine, both better with time.” The wine rack is forever. So is a trip to Belgium. What if you could live and drink wine on the water? 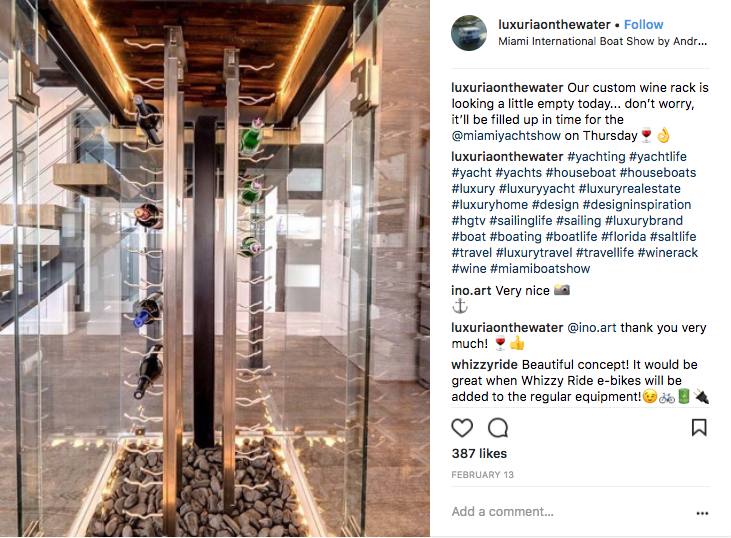 Luxuria On The Water is a two-story Miami contemporary floating home (for rent) that provides luxury living and a good bottle of wine. 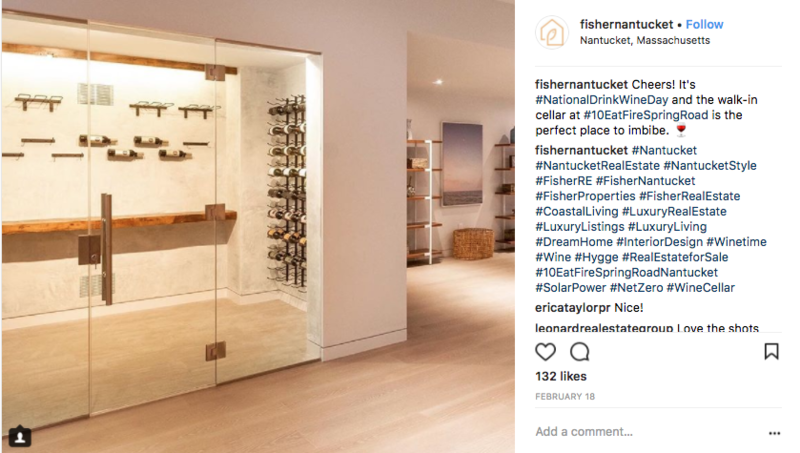 Fisher Nantucket Realty showcases this stunning wine cellar with one wall for the glasses and single bottles, and another for a #labelforward display with more than a 100-bottle capacity. This Nantucket home is currently on the market for a mere $8.9 million. 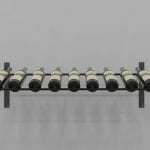 Wine display features Wall Series metal wine racks in double-bottle depth configurations with Stemware Racks and Wall Series Single metal wine racks for a minimalist display. All in Brushed Nickel finish. 2. Are You Thirsty Yet? This upscale seafood restaurant offers a wine selection for every dish. 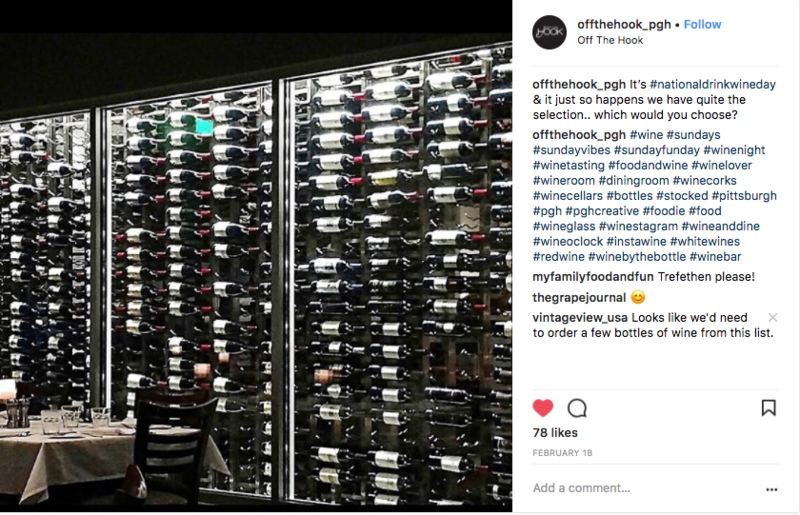 Off The Hook in Pittsburgh keeps the design minimal and the bottle count high. 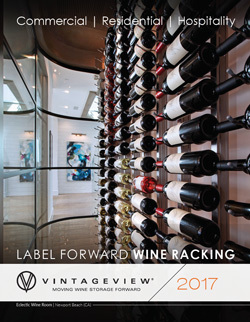 Wine cellar features Wall Series metal wine racks in single-bottle depth configuration mounted on double-sided Floor to Ceiling Frames (FCFs). All in Brushed Nickel finish. This custom wine room in Greenwich, Ct., by Cardello Architects is amazing. The bookshelf-design and light fixtures gives this cellar a classic, yet elegant look. Want your own Instagram-worthy cellar? Let us help. What’s the best way to calculate the max number of bottles you can fit? 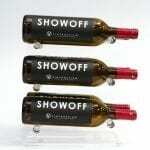 N number of bottles per x and y feet? Great question! Max capacity for a traditional layout is approx. 9 bottles per square foot (12″x13″ technically). You can ramp up even more by doing an interlaced layout (bottle necks overlap from column to column), which increases capacity ~50%.